If you’ve ever been kept awake into the early hours of the morning, tormented by the unanswered curiosity as to what goes on behind the scenes at RONIN Marketing, rest easy; your prayers have been answered. 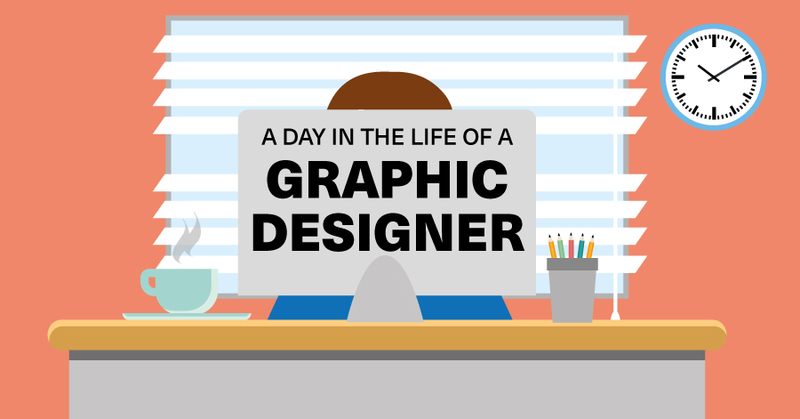 Today’s blog reveals the man behind the Mac, as one of our graphic designers, Kevin, takes us through his (very coffee-orientated) day. I wake up and gracefully – ahem – fall out of bed. First, coffee! #priorities! After a wake-up call of caffeine and a hot shower, I move onto breakfast to fuel up for the day, usually cereal and some fruit. Based in Kent, I only have only a short journey to Bromley South, so I set off on the walk to the train station. A seasoned commuter, I usually manage to nab a seat and luckily, get off the train just before the last of London workers cram on as they make their way into town. Once in work, I top up the supply of caffeine coursing through my veins with another coffee before settling down at my desk to plan my day. After checking emails, I have a browse through some design sites for inspiration and to fire up creativity; my favourite at the moment are designweek.co.uk and brands in use. Suitably inspired, the work begins. With a wide range of clients, the work we create is equally varied, from logos to animations, to websites or an advert. Today, I start by continuing work on an anniversary timeline for a client celebrating 50 years of business using my trusty faithful, Adobe InDesign. A change of scenery as I move into our Director’s office for a client meeting on a new branding project. Hands shaken and introductions made, I get my notebook ready to scribble down notes as we listen to the client’s vision the client for his business, and what he wants his branding to say. Following this Nat (our Senior Designer) and I brainstorm some ideas to put together some initial concepts for the brand. This includes mood boards, sketches, colours and words that will come together to inform our design. With a deadline of one week, this gives me time to come up with a variety of ideas and to start refining them before we present them to the client. Lunchtime! I tend to keep my lunch simple and homemade, and often eat at my desk as I give my brain a time-out. I return from lunch to an email detailing some more changes to a white paper, so I am resetting the document, as it’s a relatively easy job and will produce a quick win. This involves adding some additional imagery, new text and increasing the pages to accommodate the new content. I send over to our Senior Marketing Exec., Balbina, for a final review. I begin the concepts for the new branding project. Keeping it old skool, I still like to sketch out my ideas before getting them onto the computer, as I have greater freedom and fluidity to express my ideas and to assess what is worth developing further on the computer. I switch from coffee for tea in the afternoon (milk, no sugar please! ), as I prefer not to have coffee too late otherwise I struggle to get to sleep! We get a last-minute request to put together an urgent newsletter for a client to send out tomorrow, so I start work straightaway. The brief is short and simple and with copy and images already supplied, it’s made my life a lot easier! I send to Judith, Director and Brand Manager for the account for sign off, before sending to the client for review. Keen to get things down on paper (and on screen) while the brief from the meeting is still fresh, I squeeze in some additional work on the new branding project until the end of the day. Just before I start shutting down my computer, I receive the go ahead from the client for tomorrow’s email, so with a couple of clicks, I schedule the campaign for tomorrow morning. I follow up any unanswered emails and fill out my time sheets. I hit the gym – after being seated for the majority of the day, it’s nice to be moving and active, with my workout usually between one hour, to one and a half hours long. Pretty knackered, I hop on the train back home – again, managing to grab a seat as I’ve avoided rush hour. After being greeted by the waggiest tail in Kent (my boxer, Duke) I rustle up a quick dinner when I get in and prepare my lunch for tomorrow. After repacking my gym kit, I fall into bed and into a deep sleep. If you’d like to find out a little bit more about the team, click here.